﻿﻿In 2002, Juan Melendez was released from prison after spending more than 17 years on Florida's death row for a crime he didn't commit. He will share his story of survival, faith and hope, and talk about his Voices United for Justice project on Sunday, Sept. 25, at 7 p.m. in the Robinson Teaching Theatre in Weyerhaeuser Hall at Whitworth University. Admission is free. For more information, please call (509) 777-3275. In 1984, Melendez was convicted and sentenced to death for the murder of Delbert Baker, even though there was no physical evidence linking him to the murder. The jury rejected his alibi and the testimony of other witnesses and instead accepted the testimony of the government's two critical witnesses. In September 2000, after the Florida Supreme Court had upheld Melendez's conviction and death sentences three times on appeal, a transcript of a taped confession by the real killer was discovered. Subsequently it was discovered that the real killer had made statements to 16 people either directly confessing to the murder or stating that Melendez wasn't involved. Without admitting any wrongdoing, the State of Florida declined to pursue a new trial against Juan Melendez because one of its key witnesses had recanted and the other had died. "Use of the death penalty remains one of the most challenging and troubling aspects of the criminal justice system in the United States," says Dale Soden, professor of history at Whitworth. "Mr. Melendez's story should help all of us obtain a better understanding of its implications for our society." Since his release, Melendez has traveled across the U.S. telling audiences his story. He has spoken at numerous conventions, conferences and symposiums, including the Second World Congress Against the Death Penalty, in Montreal, Canada, and Amnesty International national conferences in New York and Atlanta. A former migrant worker, he now lives at home in Puerto Rico on a plantain field where he counsels troubled youth who work alongside him. 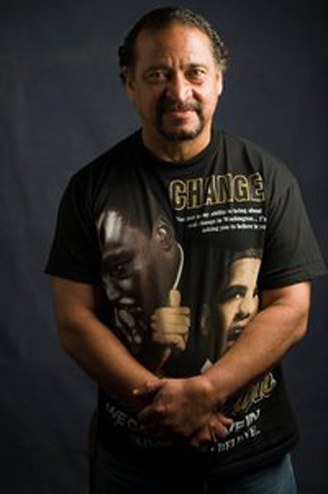 Melendez also works with the Voices United for Justice project, which provides grassroots educational services and addresses the controversial issue of the death penalty. Its mission is to abolish the death penalty in the U.S. and to plant seeds for its abolition throughout the world. Michelle Pace, program coordinator, Weyerhaeuser Center for Christian Faith & Learning, Whitworth University, (509) 777-3275 or mpace@whitworth.edu.